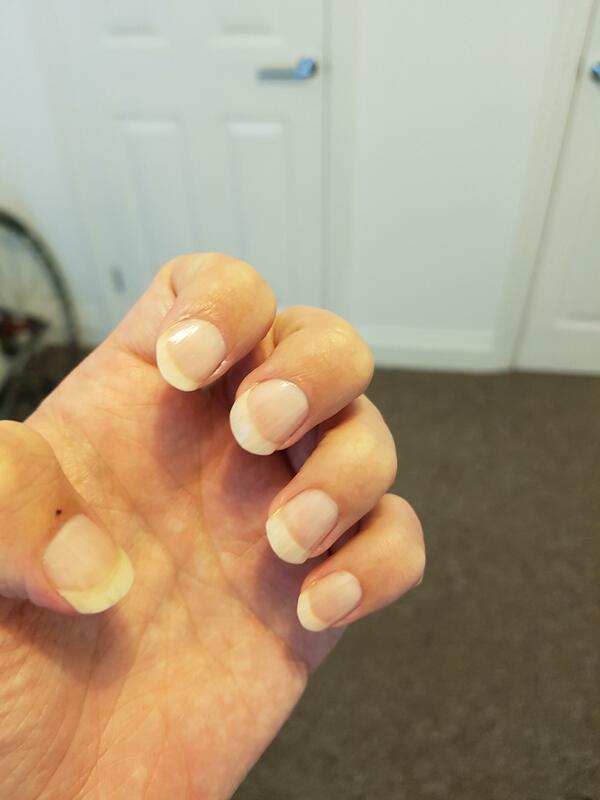 I have been interested in nail polish and nails in general for years and today i finally found the courage to go out in public wearing nail polish granted it is very natural looking but abit shiny as i used a top coat. i went to the local high and street and got a prescription filled and the counter staff at pharmacy said i had lovely nails and explained hers keeps breaking getting tablets out of the blister packaging. also went to a big shopping centre which was really busy as normal on sundays. i was thinking of wearing it to work tomorrow but i don't know. link below to todays nails. i didn't wear nail polish to work i chickened out. sorry i didn't response quicker but i have worn several different nail designs in public and work since. here is the album of all the designs i have worn.